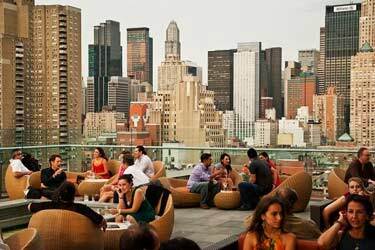 Jimmy at The James SoHo NYC (or just Jimmy Rooftop NYC) is a modern, sleek and luxurious rooftop bar in New York, located right in SoHo. 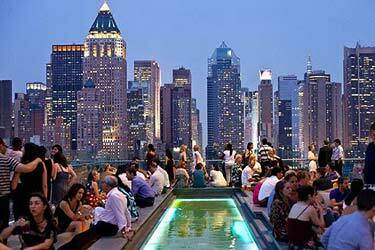 The rooftop terrace offers a breathtaking 360-degree view of New York. 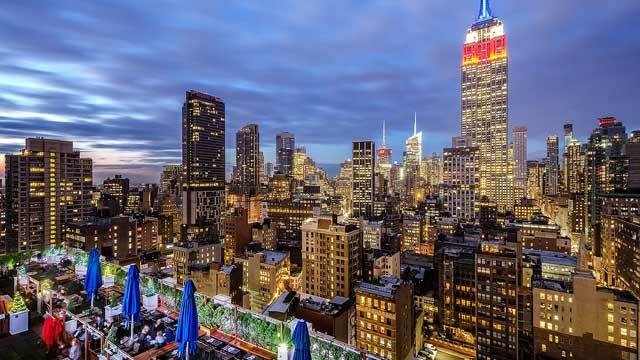 You can see the Freedom Tower in the south, New Jersey in the west and the Empire State Building in the northeast. Yeah, literally all of Manhattan is at your feet. 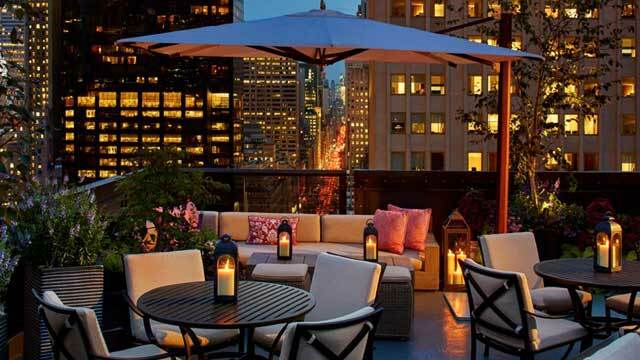 On the terrace at Jimmy at the James Hotel rooftop bar, there are comfortable chaise lounges to sit down in and a swimming pool that you can cool off in during the hot days. 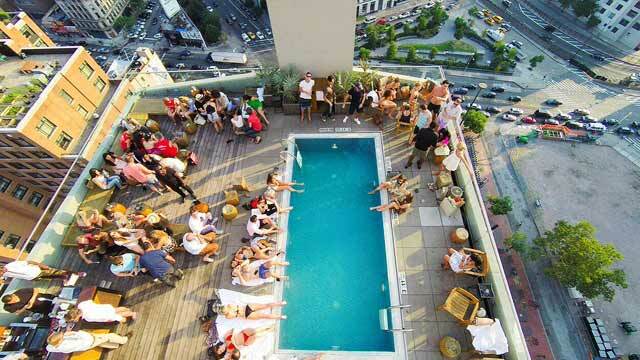 One of the best rooftop pools NYC according to many, mainly open for hotel guests during the day, but in summer weekends there are 'Pool Party Series' for everyone from 3pm. 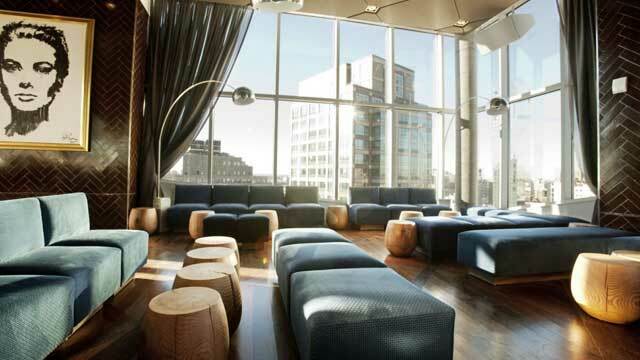 The rooftop bar offers a good set of specialty cocktails, wines by both glass and bottle and some bar bites, like charcuterie plate and pizza. 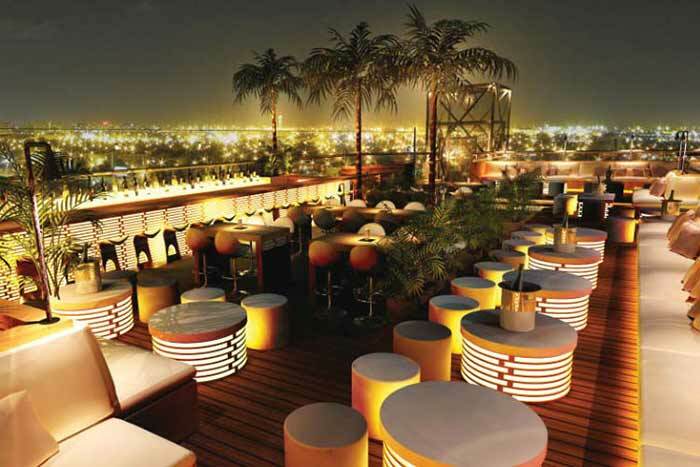 Open all through the year, and if the weather is to chilly there is also an indoor lounge right next to the rooftop. 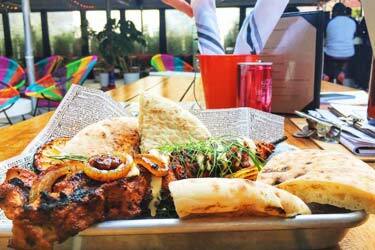 Highly popular place, with an upscale and trendy crowd loving to soak in the vibrant atmosphere, highlighted by live DJs playing playing a wide variety of tunes. 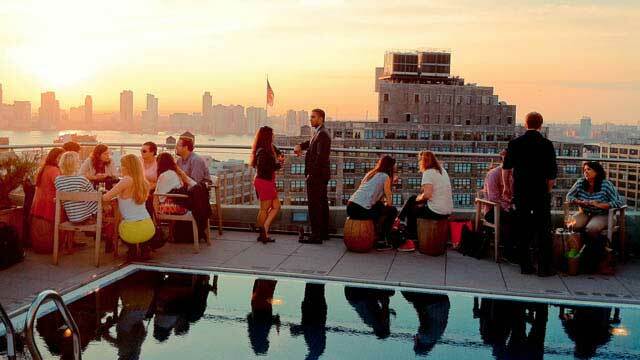 So try to make reservations before going to James Hotel Rooftop NYC, or otherwise be in good time and prepared to stand in line for a while. Once you see the view you will most likely feel: worth it! 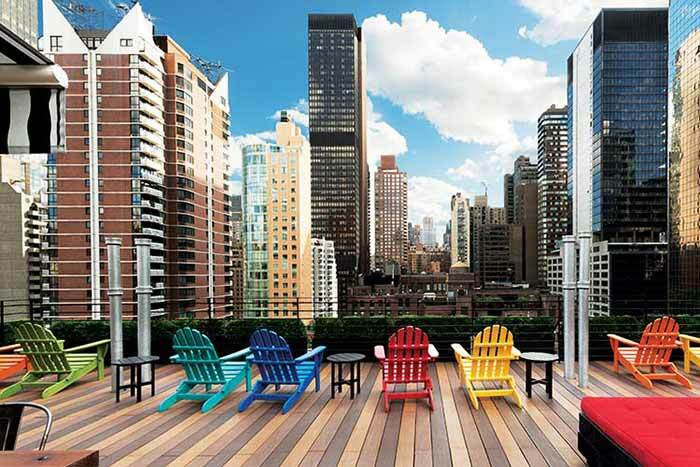 Tip: Enjoy the rooftop pool and swimming with Manhattan views to the max by booking  your stay at the 5-star The James New York - SoHo. 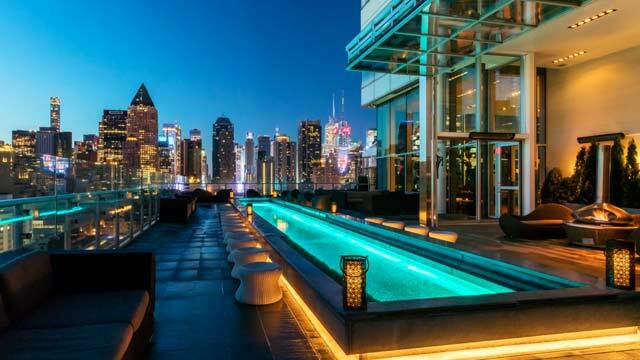 Read our review of the rooftop pool at Jimmy at the James, where we spent 4 relaxing hours with amazing Manhattan views during June 2018. 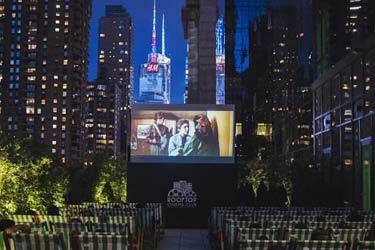 Read more about an amazing evening we had here at Jimmy at the James during our stay i NYC in 2016. 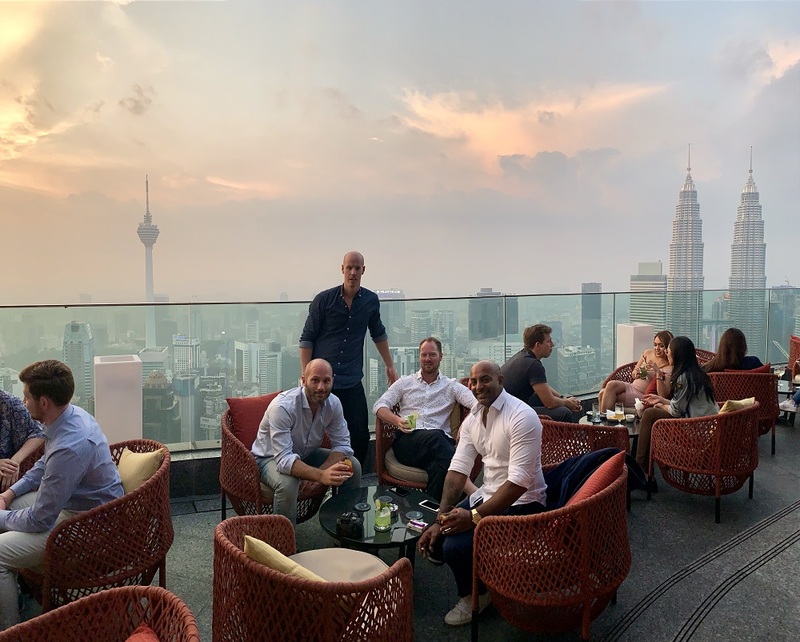 Beers and fantastic views. 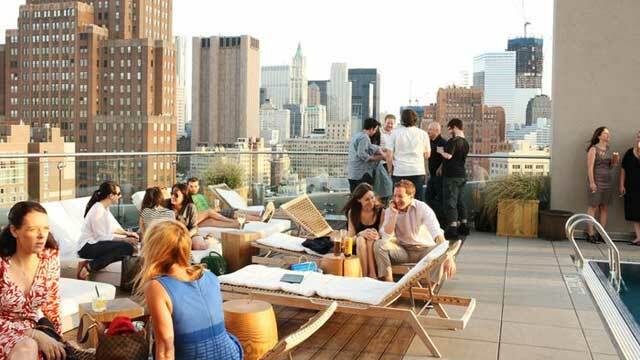 Read more about Jimmy at the James as one of the best party spots on a rooftop in New York. 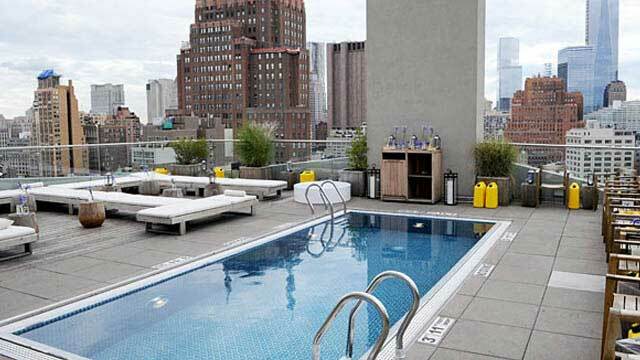 Read more about The James Hotel in the article about the TOP 5 best rooftop pools in the world.